Bless your brother this year with unique rakhi thread. 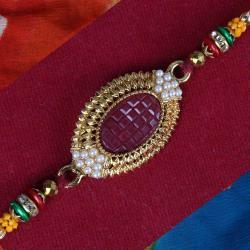 Here Giftacrossindia.com presenting the collection of exclusive Kundan desinary rakhi threads. 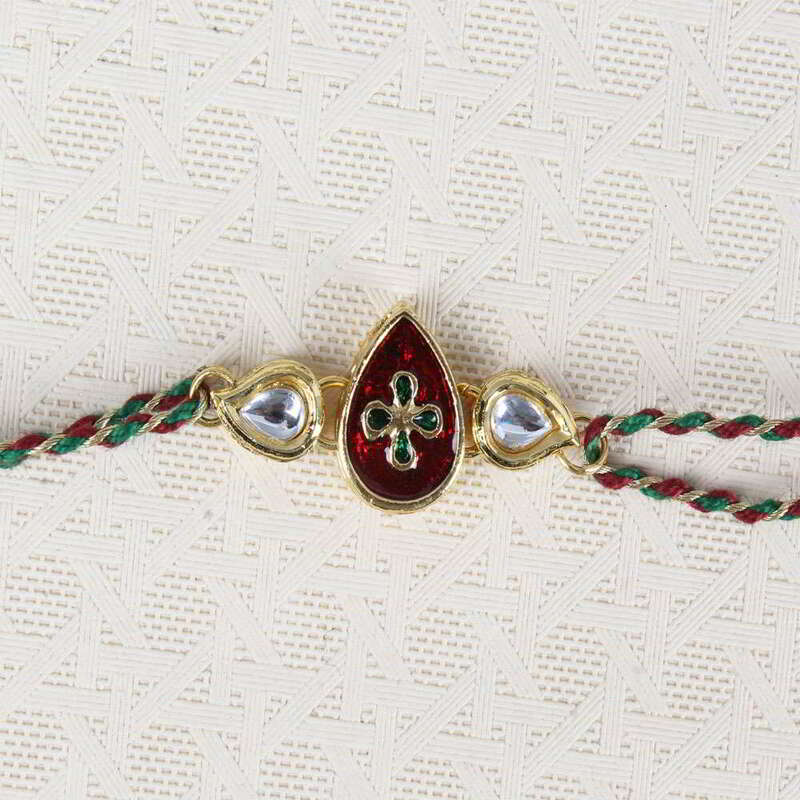 Breath taking beautiful rakhi especially designed for your darling brother. 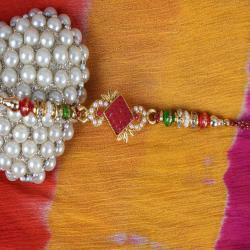 When you want to impress him on this festive season, this Kundan design rakhi is undoubtedly the perfect choice. Send him and let smile flash on his face. We will deliver at your brothers door step and surprise him with your exceptional choice. Product Includes: Teardrop Shape Kundan Rakhi.